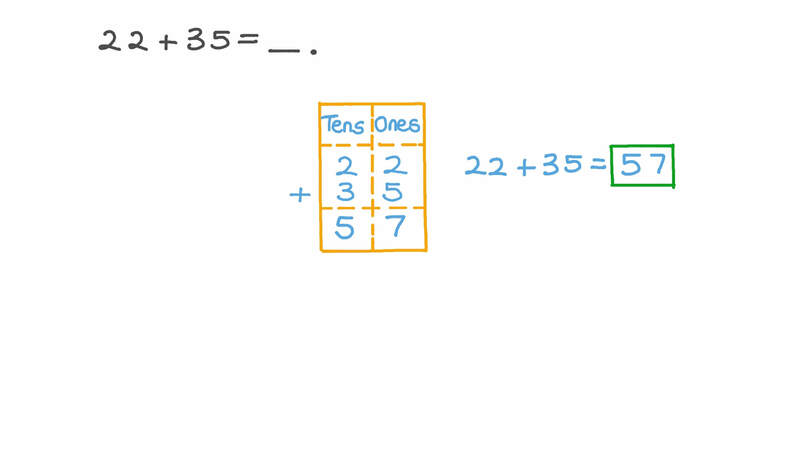 In this lesson, we will learn how to add two two-digit numbers using skills like regrouping or carrying over. 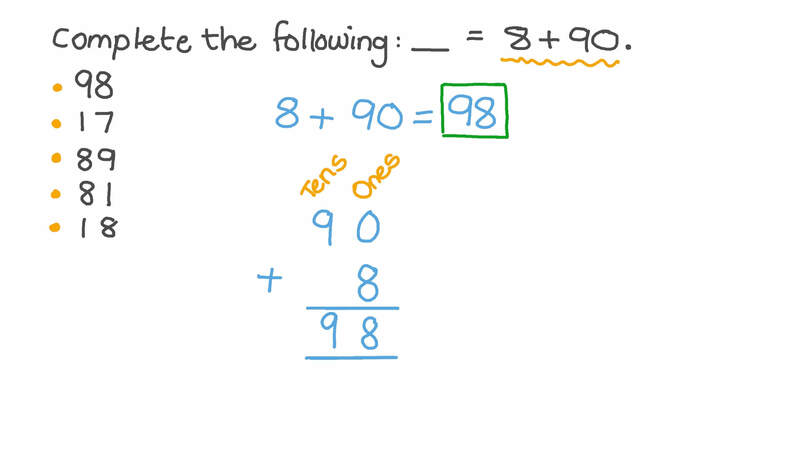 Complete the following: = 8 + 9 0 . A farmer has 43 ducks and 24 hens. Find the total number of birds that he has. There are 15 people waiting for the bus. Ten more people join them. How many are waiting now? Amir read 75 pages of a book in one day, and in the next day he read 18 pages. How many pages did he read in the two days? 1 4 + 3 2 = 4 6 . Find 1 4 + 3 3 . Find the result of the following in digits: t w e n t y - t h r e e t w e n t y - o n e + . On Monday morning, 21 boys and 18 girls went to the school library. In the afternoon, 89 boys and 41 girls went to the school library. How many girls went to the library on Monday? A girl bought a dress for 2 5 2 p o u n d s and a pair of shoes for 8 7 p o u n d s . How much money did she spend? Fares read fifteen books. Then, he read five more. Using the chart to count, find the total number of books Fares read.